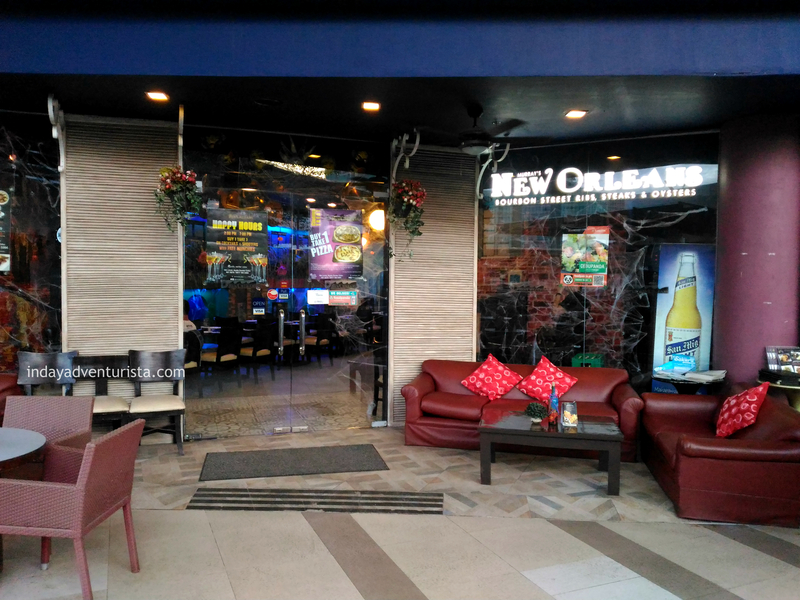 Cebu’s Murray’s New Orleans restaurant serves American food in a casual dining flair. Recently, Murray’s New Orleans added new set of dishes to their menu. We’ll go through each of those plates one at a time but for now, here’s a sneak peek. 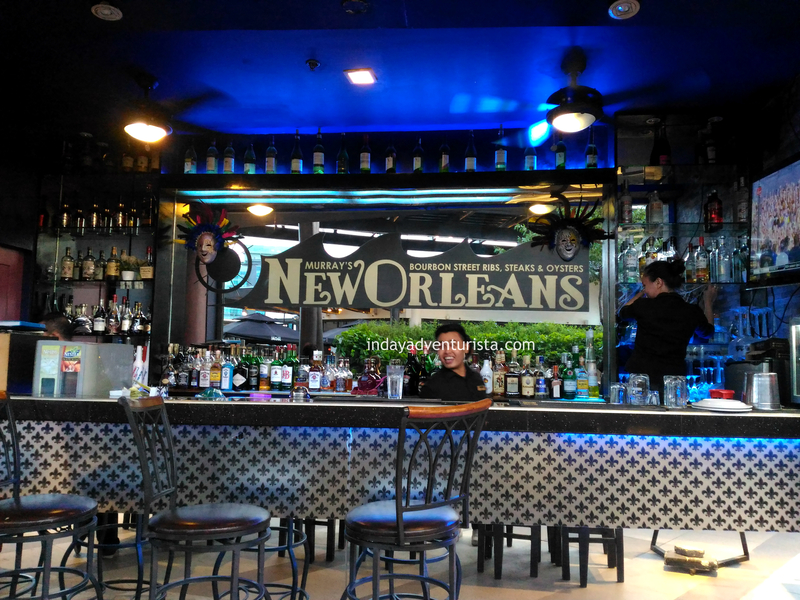 From its casual dining and elegant facade, you might hesitate and worry that their dishes are a bit over priced like most American bistros but, let me tell you this, Murray’s New Orleans is one of the few restaurants that really brings value to your money. They give what they believe to be is the best and sure enough, one bite from any of their food offerings, and you’ll believe it too. They offer mostly American food but they also have other variety like pizza and pasta dishes as well nachos. One can afford to splurge a little given that New Orleans has a menu full of delectable choices that’s redeeming enough and worth the return visit. This board has all the essentials of a hearty American meal that includes fried Soft Shell crab seasoned w/ Cajun spices served on a bun w/ slaw + lettuce + tomatoes, Onion Rings and Fries on the side. The onion rings are as sweet as can be and the coating is just right, perfect with a ketchup dip! I cannot argue with the fries because I finished all of it just like that. This is truly a sinfully awesome dish that I would love to have my friends try too. For those who opt for a lighter fare, this dish is going to drive you foodiensane! (insane with food but in a good way, of course). This plate has four US jumbo scallops wrapped in parma ham on a bed of crab cakes with sunflower sprouts for garnishing. This is my favorite from the new menu, primarily because the scallops alone literally blew me away. I can’t think of anything else but these tender scallops and parma ham inside my mouth! I’m just out of words. This is a must try. Indulge, splurge and go foodiensane! For seafood lovers, this plate is for YOU. It has a pound of Chilean mussels with sautéed mushrooms in white wine. It is bursting with flavors and is good for two to three hungry people. Talk about value for money! Are you up for a heavy afternoon snack or an appetizer? The equally delectable assortment of US Beef tenderloin Stroganoff on a jumbo potato with cream sauce is the dish you would want to have. One serving can easily be a good starter and feed up to four people . I love how perfectly tender the beef is, and the potatoes are cooked to perfection. I’m calling 3 of my buddies to help me battle this dish out. Another value to your money, indeed. Indulge in a combination of calamari, popcorn shrimps, cream dory and soft shell crab all friend to perfection with a hefty side of Parmesan shoestring potatoes in one board. The seafood basket is something I would like to order again and again primarily because of two things: (1) varied seafood choices and has a very generous serving and (2) the shoestring potatoes is to die for – it is the bomb! This dish is, again, good for sharing bu if you ask me, I can finish all these in one sitting. That’s how yummy the Seafood Basket is. Are you an obligate rice-vore like me? Well then the Salpicao Trio is our go-to dish. It is made up of beef tenderloin, Ox tongue, and beef bacon that has a super beefy-tasty sauce that goes right with a cup of rice, I should say. I can still remember how this plate smelled when it was served, it was a smell of really delicious food. Everything in this plate is good stuff, and it goes well with a bottle of beer or your favorite cocktail. Yummy! Surf & Turf (P1, 498.00) – with 8 ounces of fillet mignon wrapped in bacon with your choice of grilled Prawns, Salmon or blackened Tuna + two sides. Fish and Chips (P498.00) – beer battered Cod fish and parmesan truffled fries. Murray’s New Orleans happy cocktail hour is the place to be to headstart an all-nighter. Enjoy Buy 1 Get 1 cocktails with free Croquettes daily from 2PM – 7PM (cocktail price rages from P180 – P250 only). 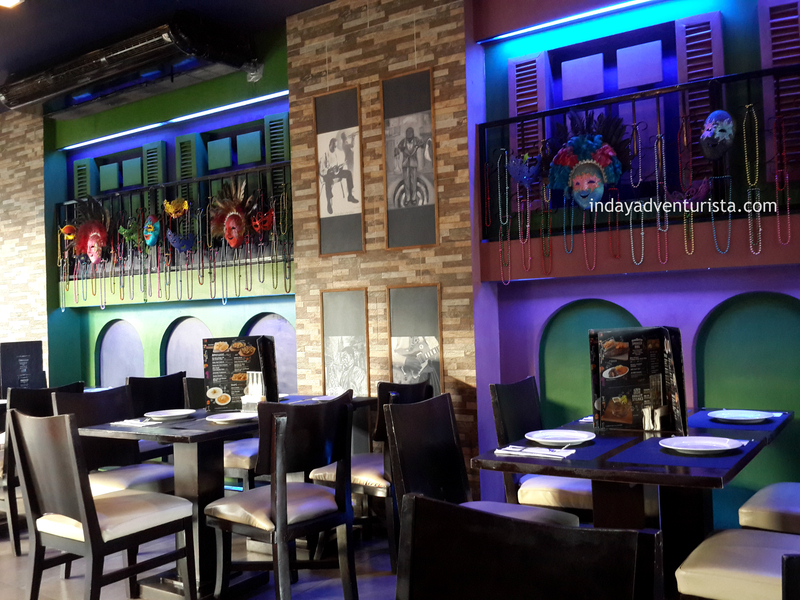 With the restaurant’s cozy ambiance and charming bar, this is where you would want to be seen, right? Another fun way to dine at New Orleans is their pizza deal. Feast on a 2 for 1 pizza when you buy a ticket & watch a movie at any of the Ayala Cebu Cinema movie houses. It doubles the excitement from watching your favorite flick to devouring – not one – but two thin crust pizzas with any of the following flavors: Adouille and Cheese, Dirty Shrimps and Spicy Garlic, Mesquite Chicken BBQ, Seafood Ponchartrain, Four Cheese Extravaganza and Pepperoni. Their thin crust pizza will definitely hit the right spots – delicately soft and light crust that lets you focus on the goodness on top! NomNom. Coupons will be given at the cashier counters of Ayala Cinema.